Founded in 1971, the MIT Museum is home to a wide array of exhibits showcasing the intersection of science, technology, and art, from artificial intelligence and holography to robotics. The museum offers rotating exhibitions on STEAM-based topics, demonstrations by faculty and students, workshops, and hands-on activities. The Mark Epstein Innovation Gallery—one of the museum’s largest—is located on the first floor and offers an inside look at some of the most cutting-edge research currently being conducted at MIT. Photography lovers can venture to the second floor, where both artistic and scientific images grace the halls. 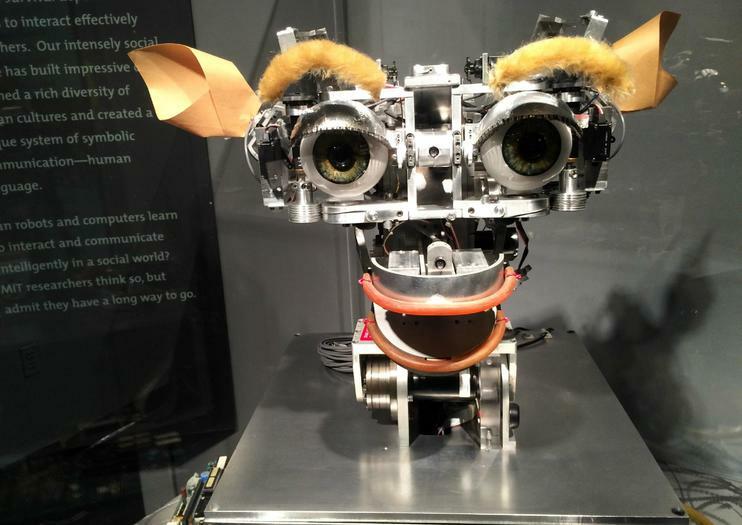 Highlights of the MIT Museum include kinetic art by Arthur Ganson, with some 5,000 moving parts that invite visitors’ participation, and the Hall of Hacks, which displays some of the biggest pranks in MIT history. Visitors can take a self-guided tour or a tour with a museum educator, who can customize a tour to a group’s interests. A self-guided visit to the MIT Museum typically takes 1.5 to two hours. The exhibits are geared toward middle school, high school, and adult audiences. Lockers and coat racks are available. The MIT Museum is located at 265 Massachusetts Avenue and is accessible via the Red Line on the Boston subway system, known as the T. Get off at the Central Square stop, which is a 7-minute walk away, or the Kendall Square stop, a 15-minute walk from the museum. Bus 1 stops at Sidney Street and Massachusetts Avenue. The MIT Museum is closed on major holidays, and remains open an hour longer, until 6pm, during July and August. The Idea Hub, where visitors can try hands-on activities, is open on the weekends from 12pm to 4pm. Major events include Feb Fest, in February, and the Cambridge Science Festival, which takes place in April. Located on the Harvard University campus, this museum encompasses three institutions: the Harvard University Herbaria, the Museum of Comparative Zoology, and the Harvard Mineralogical Museum. Inside, you will find artifacts such as fossils, taxidermied animals, and the popular Glass Flowers exhibit, which is a collection of over 4,000 exquisite glass models of plant species.